At Zippity, we celebrate the day the Zoo first opened its gates in 1970! Guests enjoy inflatables, face painting, keeper chats, live music and more. Held the first weekend in April. More than 100 zoos world-wide host Dreamnight for children with cancer and their families. 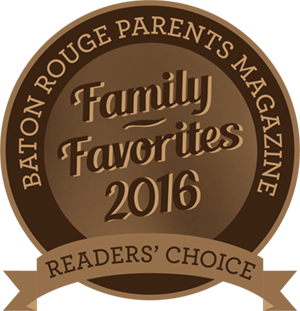 The Baton Rouge Zoo is the first zoo in Louisiana to host this special event. This invitation-only evening event is held in June. This annual 5K and Fun Run draws runners from across the nine parishes. As one of the Zoo's fundraisers, all proceeds from Zoo Run Run go to cheetah conservation efforts. Held the last Saturday in August. Friends of the Baton Rouge Zoo's newest and hottest event! This sell-out event offers beer tasting, food tasting, live music and animal encounters for those over 21. Held the first Friday night in October. The Zoo invites you to join us for Boo at the Zoo, a merry-not-scary trick-or-treating extravaganza. Children can visit treat stations throughout the Zoo, wander through the Hay Maze or explore our Enchanted Swamp. Traditionally held the last two weekends in October. See an elephant, penguin and rhino...in lights! With thousands of lights, animated sculptures, and refreshments, this event is fun for the entire family and sure to become a holiday tradition. ZooLights begins the Friday after Thanksgiving and ends on December 30. For more information on sponsorship opportunities for any of these events, please send an information request.